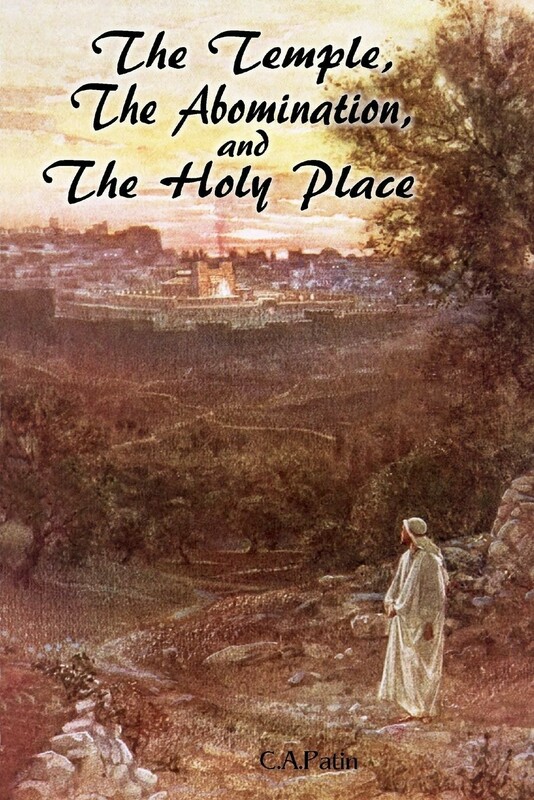 So as you know I have finally released my new book “The Temple, The Abomination and The Holy Place” through Createspace publishing. It took 2 years of research and I’m glad for it to be out finally. If you have read this blog you have probably seen excerpts every now and then that came from different sections of the book. The thesis to my book is simple. 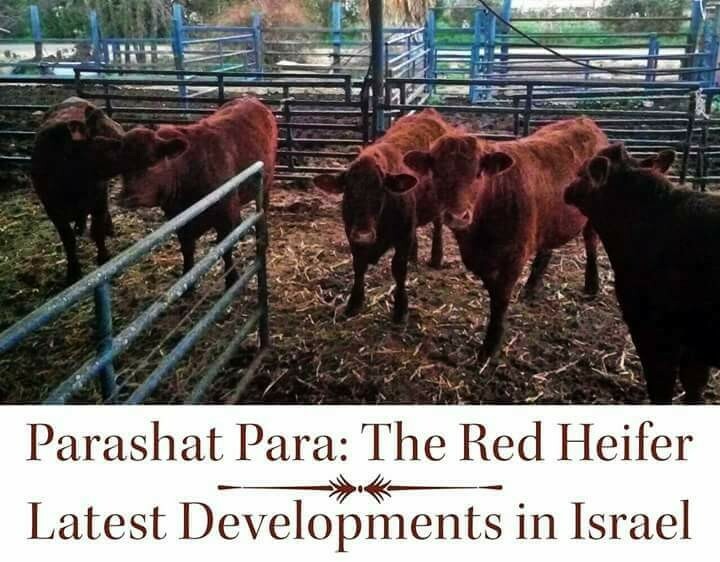 I believe there is a connection to Matthew 24:15 and Daniel 12:11 with the red heifer that the Temple Institute is waiting for. I personaly believe that there is more than meets the eye when it comes to this red heifer and I lay a heavy foundation in proving that this is the case. 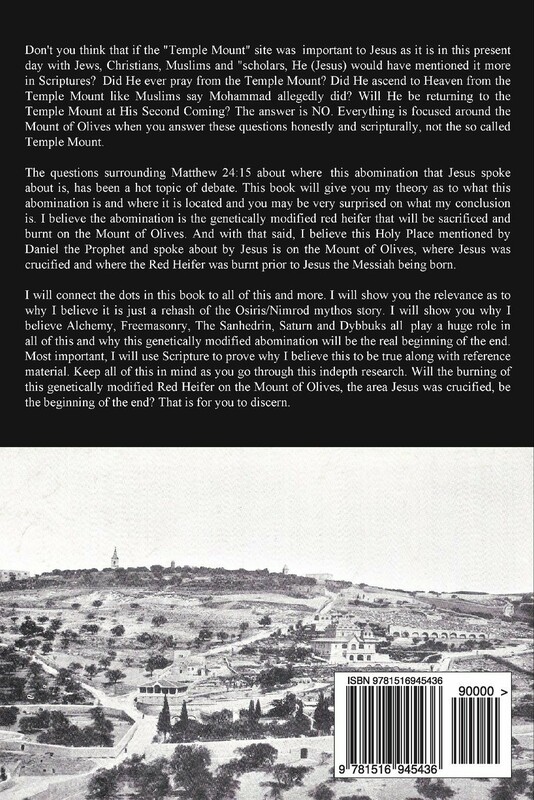 Not only do I believe that this heifer is connected to the abomination of desolation, I believe there is a strong connection to this “holy place” with the Mount of Olives. This is what my book is centered on. I hope people take the time to look into the 700 pages of research that I put forth and re-research everything that I have said in this book. I have included research from scholars that probably may have never seen the light of day since it had been written. I hope people who read this bring questions and answers to the table in regards to this study.